We are very pleased to confirm that our 2011 opening event will be held in Paris at the world famous Longchamp Racecourse (Hippodrome de Longchamp). 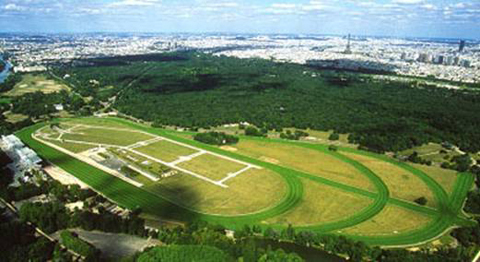 Based in the west of central Paris, Longchamp racecourse is set in 57 hectares of beautiful Paris land between the Seine and the Bois de Bolougne. Home to such classics as the “Prix de L’Arc de Triomphe”, It is the most famous racecourse in France and one of the most famous in the world. This is truly a Premiere venue that will attract massive media interest showcasing our sport to a vast audience. At a time when the sport and industry are experiencing the realities of the economy, this should be a much needed boost for us all. The geography of the venue lends itself to a near perfect set up for a Millennium event, with everything being laid out in the centre of the racetrack, including on site parking. This will allow for a fantastic atmosphere for all attending, teams, vendors, sponsors and spectators alike. This will only be enhanced with the backdrop including some of the world’s most famous landmarks and an abundance of bars, restaurants and clubs close at hand. Being in Paris there is no shortage of accommodation to suit all budgets. We are currently finalising discounted deals on a number of hotels nearby and will send the full list out shortly. We are confident that the rates we will be able to get will beat on line booking agencies. The venue is easily accessible by car, train, Metro & in easy reach of both major Paris airports. Registration is now open for Longchamp, we fully expect to be sold out quickly, so we suggest to avoid missing out on what will be an historic event you don’t delay your booking.